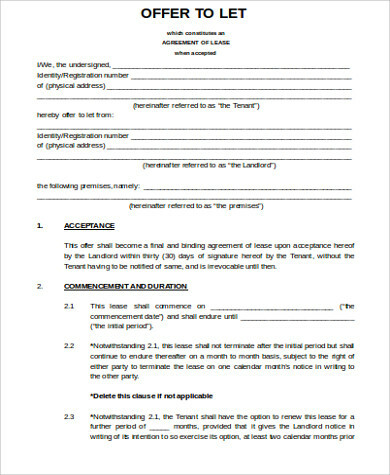 When a landlord decides to accept a tenant to rent out his property, a rental agreement is then made to formalize the deal between both parties. 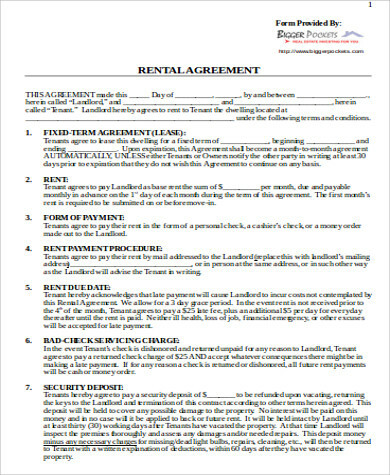 A rental agreement is one way to protect the interests of both the tenant and the landlord and helps to establish proper expectations between the parties involved. 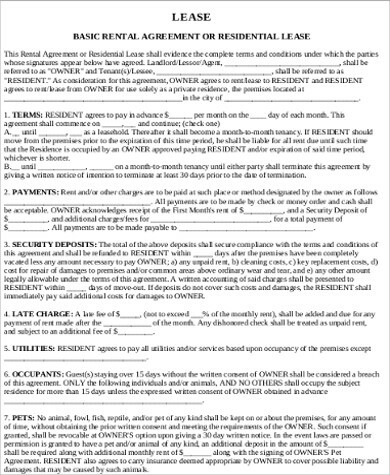 A rental agreement is a written contract that enumerates the varying terms and conditions related to the lease of a rental property. In some instances, people opt to close deals verbally; however, in a world where memories fade and people can sometimes lie, it is best to have a written contract that will serve as a tangible proof of the agreement. 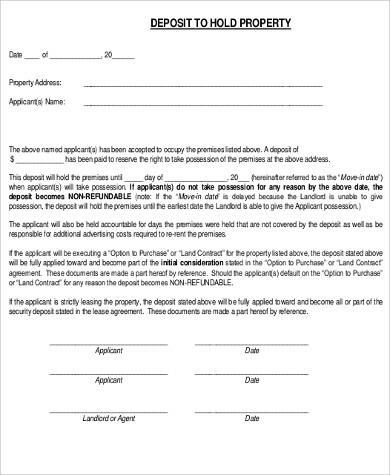 Our Sample Agreements can help get you started in whipping up a rental agreement for your land-lording business. 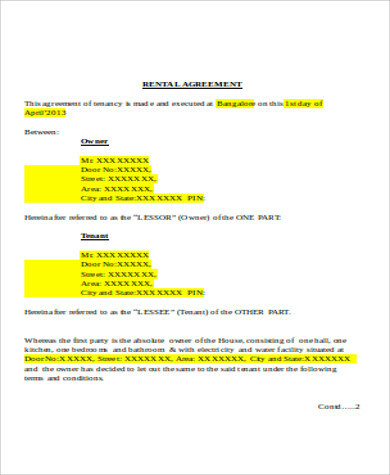 Generally, a rental agreement should contain the name of the landlord and the tenant; however, landlords nowadays are getting savvier and have realized that it is wiser to indicate the names of all occupants in a rental unit. 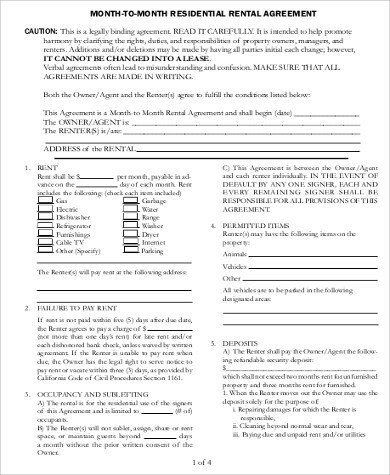 Indicating the names of all occupants obligates each person to abide by the terms and conditions set forth in the contract. Doing this also allows the landlord to demand rent from other occupants, especially in cases wherein the main tenant is not around or when the main tenant becomes unemployed. This is to protect the safety and the maintenance of the property. This guarantees that the only people who are occupying the space are those who have been thoroughly screened. 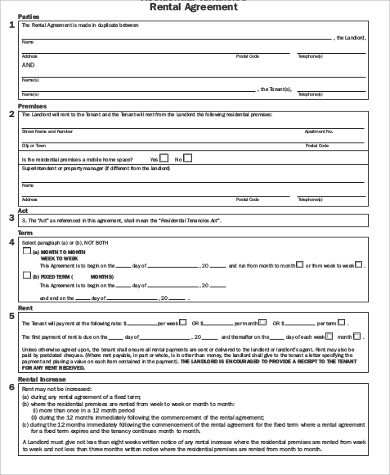 Since rentals renew every 30 days, it is important to indicate the start date and the end date of the tenancy in order to properly establish renewal dates among tenants. Since renting out a property is a form business, it is necessary to indicate the amount of rent due every month in the rental agreement. The amount needed for advanced deposits and security deposits also need to be specified within the contract as well as terms of refund. 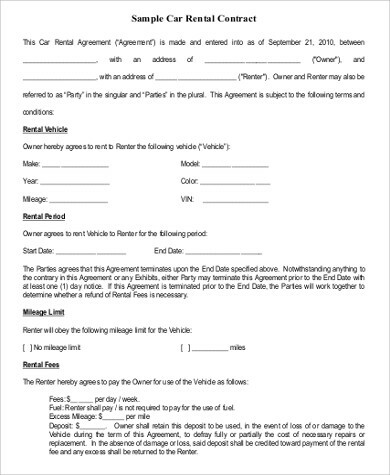 Penalties for late payments or bouncing checks must also be mentioned in the contract. Some landlords have strict policies pertaining to pets, garbage disposals, noise, etc. As a landlord, you have to set clear and proper expectations among tenants and include rules and policies within the contract. Generally, the maintenance of a rental property is taken cared of by the landlord. In instances where a tenant incurs a damage to the property, the repair is usually taken from the security deposit of the tenant. Some tenants also wish to add fixtures within the rented unit. 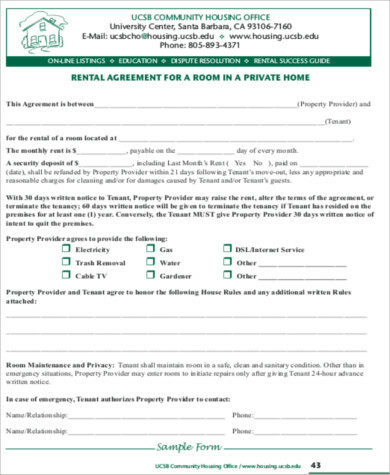 It is typically understandable that any added fixtures to a rented property will become the landlord’s property once the tenant leaves; however, this also has to be clearly stated in the agreement to avoid misunderstandings or disputes down the road. Hundreds of agreement forms can be downloaded from the Internet; however, not all of them contain the important details that makes your contract foolproof. 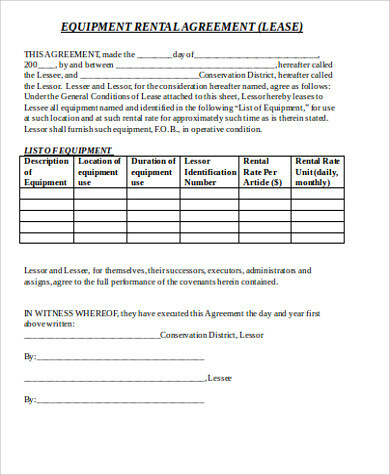 Our Free Lease Agreement Forms are easily accessible and are guaranteed to contain the necessary information that needs to be in an rental agreement.